Zoological Park, located on Stefan cel Mare street, was arranged between 1900-1904 by Nicu Albu, mayor of the city Piatra Neamt at that time. 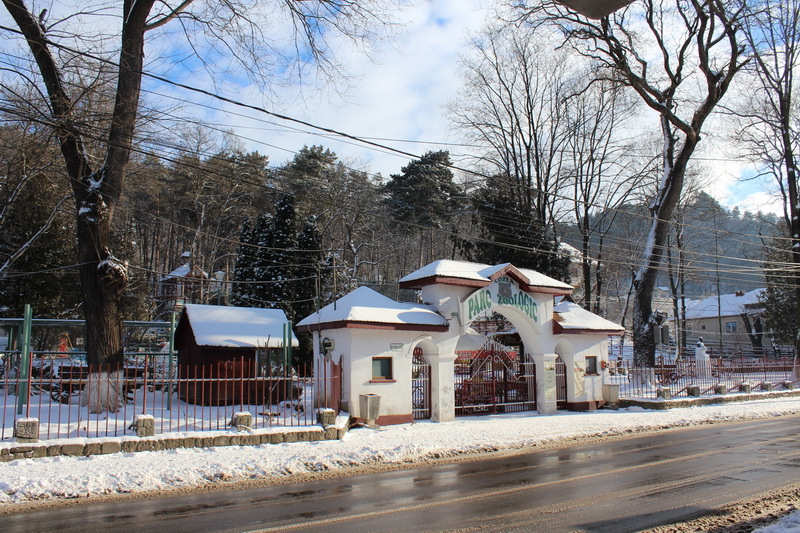 Considered one of the finest zoos in Romania, always clean and well cared for, here you can admire various species of animals representing the fauna of our country and other regions of the world. Thus, visitors of all ages can admire the brown bear with its massive body over 2m and weighing about 600kg, wolf, porcupine, which is the third largest member of the rodent family, whose body is covered with spines and feathers, fox, lynx , deer, deer, rabbit, guinea pig, raised by the Incas for food and discovered by the Spanish conquistadors when they arrived in South America, European mouflon, called the wild sheep, the ancestor of domestic sheep, the raccoon, which is an omnivorous mammal native of North America, skunk with fur, in generally black with white stripes, short and muscular limbs and a long and fluffy tail, but also birds: pheasants, birds originating from Asia – silver pheasant with black tuft, diamond pheasant with colorful feathers of metallic green, golden pheasant which by far is the most beautiful of pheasants, peacock with feathers greenish white and with an extravagant tail, guinea fowl with black plumage speckled gray, and others. Often squirrels, coming from the nearby forest, down the trees in the park to steal food from animals at the zoo cages. Inside the zoological park is located a artesian well in which several turtles are swimming. For the little ones there is a playground equipped with swings. Visiting program is every day from 8.00 to 20.00.